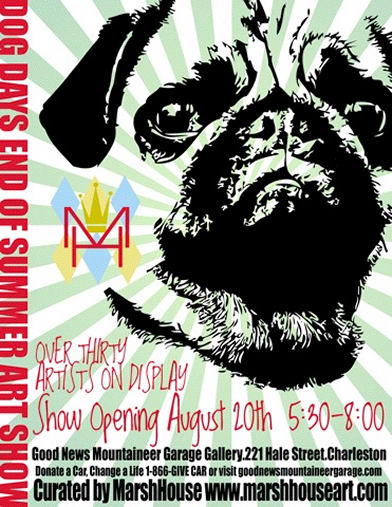 I’m proud to be part of this multi-artist show at The Good News Mountaineer Garage Gallery on Hale Street. Thanks to Chip Tantlinger of Marshhouse for putting together such a great show. Read more about Chip here. I bought one of your cute stuffed Boffins. It is dolling! You should make and sell more of the ragged rascals. I love the little flap that shows where its kidney was “stole”.